I've been a busy bee since my last post in November, mostly due to traveling for the holidays but my design eye has not taken a break. 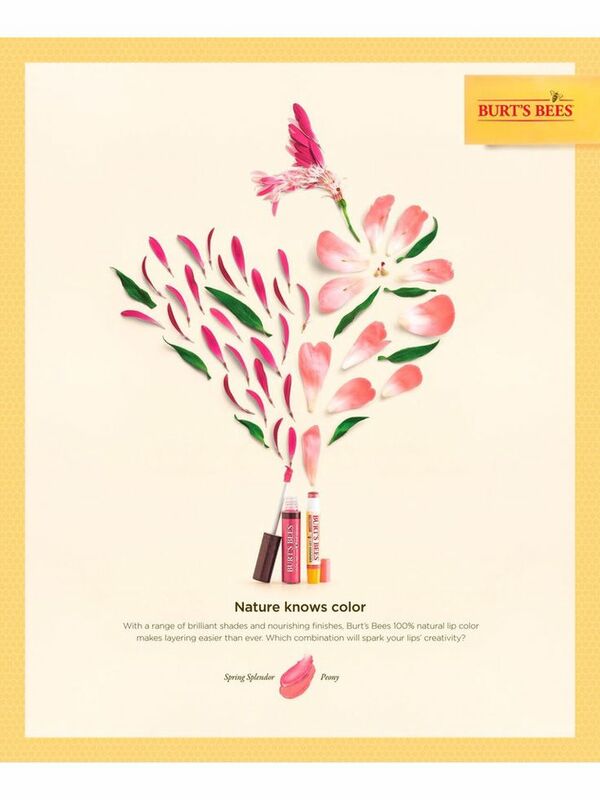 I've noticed that Burt's Bees advertising has really stepped up their game. I mean look at this....it's clean, simple and witting. 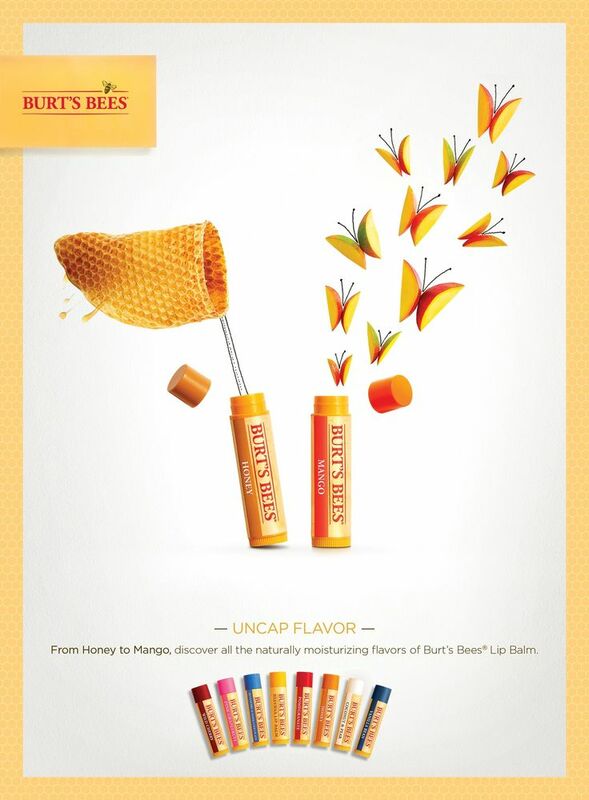 "Uncap Flavor"? I remember when they just came out with lip balms and they had just the original "flavor" if you will. Now look, they have at least 8 different flavors to pick from. I love that the layout is clean but really fun, playing up their different flavors. I don't know if this ad is recent or not, but it fits in line with the "Uncap Flavor" campaign. This "Nature Knows Color" is really fun for their 100% natural tinted lip balm, lip shine, lip shimmer & lip gloss. It really communicates to me that the colors are natural colors....not crazy pinks and reds that won't look good on anyone. This one might be my favorite...a honeycomb net trying to capture mango butterflies. I love it!